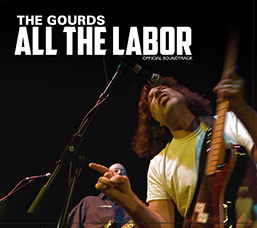 In 2011-2012, High Plains Films was fortunate to connect with Austin, Texas roots-rock/alt-country legends, The Gourds, and document their music in a hybrid performance film/music documentary, ALL THE LABOR. The feature documentary that resulted from that effort premiered at the 2013 SXSW Film Festival. High Plains Films released an official soundtrack to the feature documentary, which is also The Gourds’ first career-spanning release and the band’s first live record, with 18 new and unreleased tracks culled from more than a dozen live performances recorded for the film.